The Politics of Memory blog is coordinated by the History Watch Project. 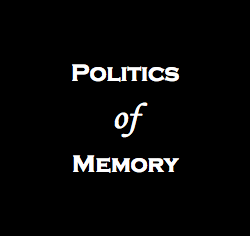 Most of the articles published by the Politcs of Memory are authored by members of the History Watch Collective, though contributions by others will be considered. If you would like to contribute to The Politics of Memory please fill out the form below.